Just recently, our friends at The Gold Report interviewed Doug on his thoughts about the precious metals bull market, how high gold will go, his views on gold stocks, and much more. Some of what he says below is not new to longtime readers, but we think his comments on gold investments being a potential exception to the rule for what’s coming are well worth bringing to your attention. The Gold Report: Doug, at a recent conference you said that the U.S. ought to default on its national debt now. Why that rather than letting it play out? Doug Casey: Several other things almost equally radical should be done besides defaulting on the debt. I recognize that an outright default is most unlikely, but the national debt should be defaulted on for several reasons. To start with, once the U.S. government defaults on its debt, people will think twice before lending it any more money; giving politicians the ability to borrow is like giving a teenager a bottle of whiskey and the keys to a Corvette. A second reason is that the debt is an albatross around the necks of the next several generations; it’s criminal to make indentured servants out of people who aren’t even born yet. A third reason would be to overtly punish those who have been lending money to the government, enabling it to do all the stupid and destructive things that the government does with that money. The debt will be defaulted on one way or another. The trouble is they’re almost certainly going to default on it through inflation, by destroying the currency, which is much worse than defaulting on it overtly. That’s because inflation will wipe out the relatively few people who are prudent in this country, those who are actually saving money. Because they generally save in the form of dollars, they’re going to wipe them out financially. It’s just horrible. Runaway inflation will reward the profligates who are in debt — people who’ve been living above their means. And punish the producers who’ve been saving and trying to build capital. That’s in addition to the fact it will destroy millions of productive enterprises. A runaway inflation is the worst thing that can happen to a society, short of a major war. They just should default on it honestly, as it were. TGR: But your belief is we’ll try to inflate our way out of it to pay for it. DC: Don’t say “we.” Say the U.S. government. I don’t consider myself part of the problem. Americans have to learn that the government isn’t “us.” It’s an entity that has its own interests, its own life, its own agenda. It views citizens as milk cows — or perhaps even beef cows — strictly as a means to its ends. TGR: Whether it’s overt or by default, doesn’t that end up in the same place down the line? DC: There are two ways they can default — one by saying, “We don’t have the money and we’re not going to pay you,” and the other by continuing to print up money and giving people the number of dollars that they’re owed, except the dollars are worthless. The first alternative is by far better, for many reasons we can’t fully explore now. But it’s going to be traumatic either way. TGR: But the assumption that we could actually just print more dollars and pay off the debt implies that somewhere the debt will stabilize. DC: Oh no. It doesn’t have to stabilize. To pay interest on the national debt, and to pay for additional spending, all the Federal Reserve has to do is buy bonds from the U.S. government. It doesn’t have to stabilize at all. The government is most unlikely to cut back on its spending, most of which has become part of the social fabric — Medicare, Social Security, unemployment benefits, food stamps, corporate bailouts, continuing foreign wars, domestic “security”…. These people are crazy enough that it could get like Germany in the ’20s or Zimbabwe a few years ago. TGR: At what point do we tip over and turn into a situation such as Zimbabwe or the Weimar Republic? DC: At the moment we’re in an economic twilight zone or, if you wish, the eye of a hurricane. There is apparent stability in the economy. The stock market’s high. The bond market’s high. Only the real estate market is in visible trouble. Retail prices are level; they’re not going up and maybe they’re even going down in some cases. This is a temporary situation. We will inevitably — and soon — hit the other side of the storm. At some point those trillions of dollars created by the U.S. government — and many other governments around the world have created trillions of currency units — are going to have an effect. When will that be? The timing is uncertain. But I think it’s going to be soon. TGR: Will it be rapid? DC: If these things were perfectly predictable, it would be easier to dodge the bullet. This is an almost unique time in world economic history, and I think we’re not only going to have economic consequences, but social and political consequences, and very likely military consequences. So hold on to your hat. TGR: To protect what individual wealth we may have, you’ve recommended selling real estate and renting, holding assets outside the United States, owning gold, etc. When we’re out of the eye and in the thick of this economic hurricane, what types of equity investments should people be holding? DC: Now is a very bad time to have most kinds of equities; stocks in general are very overpriced, by almost every parameter. I’m not looking to sell my gold until I can buy solid blue chip stocks for dividend yields in the 8% to 10% area. That’s after they cut their current dividends. Although it’s certainly not the bargain it was 10 years ago. Nonetheless gold will go higher. Stocks will go lower. I don’t know exactly when I’ll sell my gold and buy stocks, but it will be when there’s a panic into gold and when stocks are bargains. I’m sure I’ll be afraid to make the trade when the time comes — but good trades almost always run counter to your emotions. Perhaps the tipoff will be when Newsweek or Time — if either still exists then — run a front cover with a golden bear tearing apart the New York Stock Exchange. I think it will be a generation before American real estate is a solid buy again. And the world at large will likely have quite a different character then. TGR: I take your point about equities in general, but are you also staying away from gold equities? Or do you maybe see an opportunity there? DC: They’re a special situation; on the one hand they are a play on gold, but on the other hand they’re stocks. There’s an excellent chance that with the trillions of currency units being created, the government inevitably will wind up inflating other bubbles. There’s a very good chance for a bubble in gold and a very big bubble in gold stocks. So I would say that they are an exception to other equities. We could see these juniors go up by an order of magnitude or more, even while most other stocks are going down. Historically, junior resource stocks are the most volatile class of securities in existence. TGR: Might other sectors also be in that situation? DC: My crystal ball is hazy, but it seems to me that junior resource stocks are the best speculative place in the equities market. There’ll probably be others, but I don’t see them very clearly at this time. I’m waiting to see what materializes. You have to look at all markets of all types, everywhere in the world, to find things that are overpriced, as well as things that are underpriced. Most of the time the trend in any given market is uncertain. I prefer to act only when, in my subjective opinion, the odds are greatly in my favor, and when the potential return is a multiple of my investment. In other words, most people invest 100% of their capital in hope of a 10% return. I prefer to wait until I can invest 10% of my capital for a 100% return. As to what’s going to happen over the next few years, I feel confident that we’ve entered into the Greater Depression in earnest. It will be an extended period of time when most people’s standard of living drops significantly. But as I said, I think there’s an excellent chance of a bubble igniting in resource stocks. That will build on the bubble that’s going to come in gold. High levels of inflation make “investing,” in the Graham-Dodd sense of the word, very hard. And inflation makes speculation almost necessary. Just don’t confuse speculation with gambling — they’re very different. Speculation is the art of capitalizing on politically created distortions in the market. TGR: What’s your definition of resource stocks? For some, it’s very broad and includes metals, agricultural commodities, and such. Are you referring specifically to gold? DC: I’m most friendly toward gold; it’s the only financial asset that’s not simultaneously someone else’s liability. I’m friendly toward silver, too, because silver is kind of poor man’s gold. I’m very friendly toward oil because I do believe a good, solid argument can be made for what was first defined by M. King Hubbert as “peak oil.” Also, oil is likely to be a major player in the next major Mideast conflict. I like uranium; nuclear is certainly the safest, cheapest, and cleanest form of mass power generation. There’s an excellent case to be made for agricultural commodities in general, and live cattle in particular. I’m not very friendly toward base metals such as lead, zinc, copper, aluminum, iron, and so forth. Usage of industrial metals could drop considerably in the ongoing depression. TGR: You mentioned earlier that you thought it would be a generation before real estate represents a good investment again. Many economic theories, though, tell us that real estate is a good thing to have in an inflationary environment. How do you reconcile those two schools of thought? DC: The problem is that we’ve just finished a decade-long real estate boom. Actually, there’s been a property boom, largely driven by debt, since the end of World War II. There’s been immense overbuilding and it’s got to be absorbed. A lot of the overbuilding will have to be bulldozed, quite frankly, because it’s completely uneconomic. I think the economic contraction we’re going into is so serious that in this country you’ll be able to buy real estate for back taxes, much like in the last depression. But it’s much more serious than what happened in the 1930s when real estate taxes were de minimis. Now many people have to pay $10,000, $20,000, even $30,000 a year in taxes on their houses before they even start paying the mortgage and the utilities and maintenance. And municipalities are likely to try raising the mill rate, because they’re largely bankrupt, and assessed values are way down. There’s a great deal more I could say about what’s yet to come in the real estate sector. But let me just say the real estate bubble has a long way to deflate yet. TGR: Is it both residential and commercial or is it worse in one sector? DC: That’s tough. Is emphysema worse than Parkinson’s? I suspect, however, that commercial is going to be worse than residential. People’s shopping habits are one of the things that the Internet has changed and will continue to change. It makes more sense to buy things online and have them delivered to you, than to take the time and expense of going shopping, and the merchant having to deal with retail space, inventory, a geographically limited clientele and so forth. I wouldn’t be surprised to see prices on a lot of commercial property come down 80% or 90%. You’ll see a lot of properties permanently shuttered. That’s a disaster for owners, who will still have to pay taxes. There will be no money for maintenance. TGR: We spoke earlier about inflation and the likelihood of the U.S. government printing its way out of debt. Do you see a point in time where the United States or even other governments will go back to the gold standard? DC: It’s both essential and inevitable. That’s because they have no reason to trust one another. They need a medium of exchange and a store of value that’s not faith-based. All the other governments of the world know that the U.S. is bankrupt and the dollar is nothing but a floating abstraction. Why should they hold billions or in some cases trillions of these things on their balance sheets? They’re going to go back to gold because it’s the only financial asset that’s not simultaneously somebody else’s liability. It’s not because gold is magic in any way. It’s just because it has characteristics that among the 92 naturally occurring elements make it uniquely well suited for use as money. It’s durable. It’s divisible. It’s convenient. It’s consistent. It has use value in and of itself. And it can’t be created out of thin air by some government. It’s a better combination of those things than any of the 92 elements. It’s infinitely better than paper. So yes, I think they’ll go back to gold within this generation. TGR: You were speaking of buying things online. Most people today don’t even use paper bills. We do everything electronically in terms of banking. Aren’t those properties of gold that you described irrelevant in the electronic era? DC: To the contrary. Gold is an asset. You can put it in your bank account and transfer it. You can buy and sell it electronically. The fact that it can be transferred electronically today makes it a better money than ever before. So no, not at all, gold is quite relevant. It’s not in any way an anachronism. I pity fools like Bernanke and Geithner who don’t understand that. If they totally destroy the dollar, they may end up hung by their heels from a lamp post. TGR: You said you’re very partial to oil and uranium. Are you attracted to any other energy resources? DC: Yes. My friend Rick Rule has justifiably and very intelligently been a big promoter of geothermal energy, because it’s actually superior to even nuclear in some ways. It should have a huge future. There’s very little geothermal being generated right now, and a great deal could be generated in the future. Many other forms of power generation are possible — tides, ocean currents, heat differentials in the ocean, solar microwaved down from collectors in high orbit — there are many, many innovative technologies out there. Of course as technology keeps advancing, conventional solar will become cheaper and more efficient. Energy shortages, and high energy costs, are totally caused by political issues. In a true free market world they wouldn’t even be worth talking about. TGR: But will technology-reliant sources such as solar and wind power be able to sustain through this downturn that you’re expecting? DC: Well, most of the power we have is now generated via coal. Coal is very problematical as an energy source — it’s dirty, bulky, and could be used for better things than burning. Stupidly, most new plants will be running on coal, not nuclear. That said, you can expect that the average guy will be cutting his standard of living, driving less, turning down his heat in the winter, turning down his air conditioning in the summer, and turning off the lights when he leaves the room. So I’m not sure that electricity consumption will be going up for years to come, especially with a lot of stores being shuttered and so forth. Wind and solar are trivial sources of power. Good for certain applications in certain locations, but not suitable for mass power in an industrial civilization with anything like our present technology. TGR: So if electricity consumption goes down… wind and solar are barely economically viable now. DC: That’s right. It’s just a question of the alternatives. You weigh what you pay for a kilowatt-hour on the grid versus what it costs an individual to put up private wind or solar, or for a utility to put up commercial wind or solar. I see no reason to invest in these alternatives other than economics. The way I see it, arguments made about saving the planet and so forth are basically ridiculous, even if navely well intended. All the blather about “carbon footprints” is scientifically nonsensical. It’s not a matter of tree hugging. If you’re paying more for something than necessary, you’re misallocating capital. You’re destroying capital. That’s a real crime against humanity. To me, it’s strictly a matter of economics. If at some point technology makes a great breakthrough, maybe solar will become the best and cheapest power source; that would be wonderful. That’s not the case right now. As I said before, maybe they’ll be able to put solar collectors into geostationary earth orbit and beam down solar to earth by microwave. There are lots of possibilities for solar to become economic. It’s just that right now, it costs several times what other forms of power do. It doesn’t make sense, except in certain places, in certain applications. TGR: Given that, would we expect to see any solar in your portfolio? DC: If somebody makes a cosmic breakthrough, I’m happy to buy the stock. I’m certainly not inclined against solar on any philosophical grounds. TGR: The Chinese recently announced that they will start selling gold coins through their banking system. What do you make of that? Is it really big news? DC: I think it is. The Chinese know that one of the reasons Mao took over is because the government of Chiang Kai-shek destroyed the national currency. The Chinese can see the problems with the U.S. dollar. That it could blow up in their hands. They also see the problems they’re creating for themselves by creating trillions of new renminbi. So I think that they’re encouraging the average guy in the street to do some saving with gold so that if things go sideways with these paper currencies, the average guy isn’t left too destitute and too angry. At least he’ll have some gold coins. I think they’re being quite intelligent about encouraging their people to buy gold. TGR: What do you make of the fact that a country with a communist orientation encourages its citizens to buy gold, while the world’s supposedly premier democracy does not? DC: First of all, let’s recognize that communism was a very short-term aberration in the 5,000-year grand scheme of Chinese history. Mao only ruled the country for about 30 years. Since the late ’70s, China’s been returning to its old ways. Everybody knows that the Communist Party in China is nothing but a scam for its members to cream something off the top of everything. It’s ludicrous to say China is a communist country. It’s easier to do business in China than it is in the U.S. — lower taxes, less regulation, fewer legal hassles. In point of fact, the Chinese are reverting to the mean. For many centuries, up until the Industrial Revolution, China was much wealthier than the West. Now it’s rising again. As far as the United States is concerned, unfortunately it’s going the other way. The issue has nothing to do with democracy. Democracy is just mob rule dressed up in a sports coat. It’s much overrated. The U.S. government is becoming more powerful, and the U.S. is radically departing from the economic philosophy of free markets that made it great. It’s simultaneously becoming more politically repressive. The Chinese are just reverting to their traditional economic philosophy, which is not communism, it’s capitalist trade and production. TGR: Presumably, participants will get a lot more of what we’ve been talking about at the Casey Summit that you have scheduled for October 1—3 in Carlsbad, California. DC: For sure. We’re going to be talking about specific ways to take advantage of the problems that we have today. It’s important to remember that as the Greater Depression deepens, most of the real wealth in the world still will be here. It’s just going to change ownership. The key for this conference is we’re going to examine why things are the way they are. But perhaps even more important is how to capitalize on them, how to take advantage of them. TGR: Of course you’ll be at the conference too. And your lineup includes Bob Bishop, Eric Sprott, Richard Russell, Bob Prechter, and obviously Rick Rule. 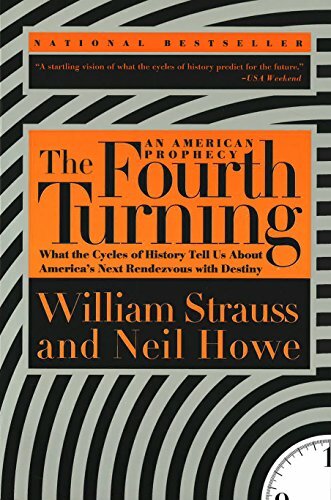 DC: And Neil Howe, who with William Strauss wrote The Fourth Turning and Generations: The History of America’s Future, 1584 to 2069. 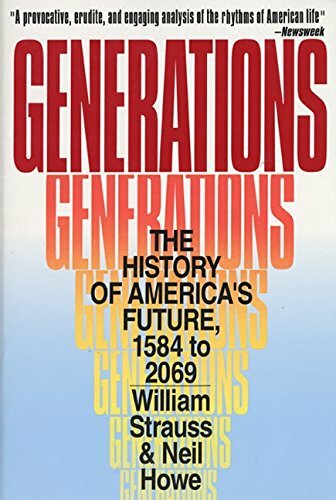 It’s among the most brilliant, and original, analyses of long-term trends of history I’ve ever seen. TGR: And I understand you’ll be introducing the Casey NexTen. How does that complement your Casey Explorers’ League? DC: When Ross Beaty, Bob Quartermain, Simon Ridgway, and the other members of our Explorers’ League come out with a new deal, it automatically carries a huge premium because they’re proven commodities — highly technically competent, honest guys with good work habits, who have found and made economic more than three mines. With the Casey NexTen, we’ve done a lot of work on finding the next generation, guys who have all the makings of these veterans, the young editions of our Explorers’ League. With this group, you can still buy in cheap and get them as they’re just moving into the most productive stages of their lives as opposed to moving toward retirement. Getting to know them personally, which is possible for people who attend the conference, would be one of the most financially productive things that you’ll be able to do if you have any interest at all in resource stocks.